Article 13 is the next threat to the Internet in the EU by censorship nearly everything. For example. want to put a video link from youtube to here? you need to pay. Want to make a parody video and share it? You need to pay for it. Everything about it is here and to say what you think about all this, before this sites gets censored. We got until the 20th of June to spread the word. The internet feels like it’s becoming more and more complicated lately. I hope whichever way this goes everything is at least clear but if the fears about what this could cause are true... then... ouch. but if we're not in the EU anymore maybe this means we can become the pirate capitol of Europe again? It's not the end of the road, though. Next month the whole European Parliament has to vote to give a mandate for negotiation. Then in the autumn, the European Parliament and the Council of the EU do that negotiation to reach an agreement on a final text. Then that is voted on by the European Parliament, probably at the end of this year or the start of 2019. So this isn't a case of "the vote passed today, it'll be law tomorrow". It's not the end of the road, though. There's also the commitee stages of the European Parliament which will scrutinise the law word by word in all of the EU's official languages to make sure the working is right, and to apply ammendments to either the wording or to the actual parts of the legislation usually because a part of it would be impractical or would be complicated and weird. Not exactly. EU laws would still affect the UK as the Digital Millenium Copyright Act affects us now, even though the United States is a totally different jurisdiction. Basically, the internet is weird and complicated, and if a website/service can be accessed in a country, the laws of that country will apply to it. If a website/service fails to comply, then the country can use court orders to force it (if the website/service has a physical presence in that country) or they can just block the website/service (a bit like how The Great Firewall of China keeps Western social media out of mainland China). 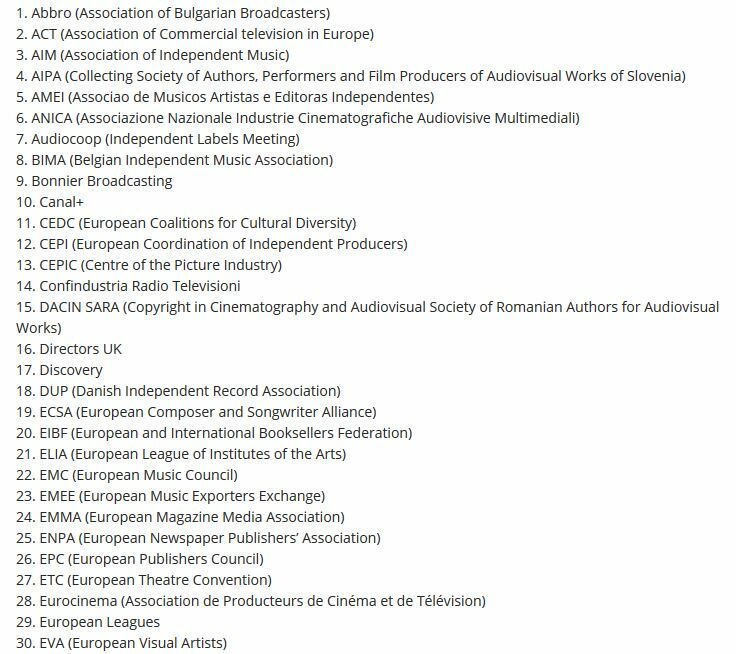 The result here is that even if the UK leaves the EU, the content would still be accessible in the EU, therefore the EU laws would still apply. Remember when GDPR came into effect? That impacted a lot of websites and online services which had barely any presence at all in the EU, because GDPR's wording covered anyone using it inside of the EU. I.E. if your website/internet service can be accessed in the EU, GDPR applies to it, even if you don't have an office or server in the EU. This new legislation would likely have the same sort of situation, though my guess is that once someone challenges this in the European Court of Justice, at least with the Fair Use argument, it will get legal protection. My guess is this legislation is intended to harmonise legislation which may already exist in some countries across the EU. Much like GDPR, it pretty much implemented Germany's existing data protection laws on a EU scale. 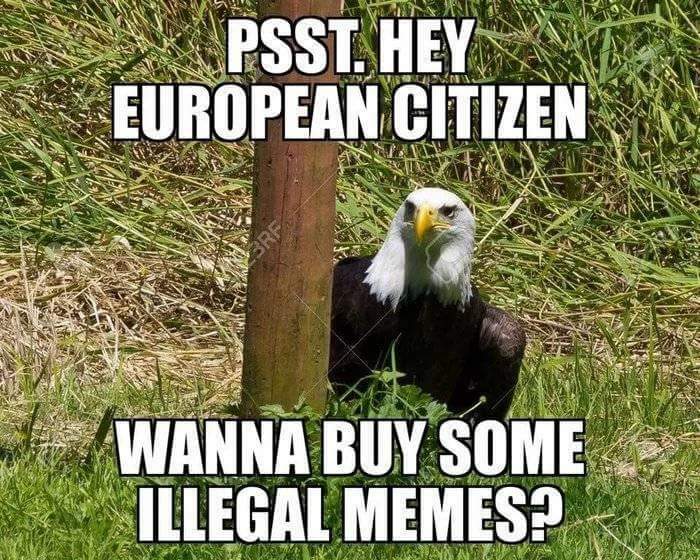 This legislation might just be implementing the existing copyright laws in some EU states on an EU scale as well as part of the EU's Digital Single Market (which also protects net neutrality in the EU under the basis of Freedom of Movement). My guess is this legislation is intended to harmonise legislation which may already exist in some countries across the EU. Much like GDPR, it pretty much implemented Germany's existing data protection laws on a EU scale. Quite possibly, though that's not necessarily reassuring. 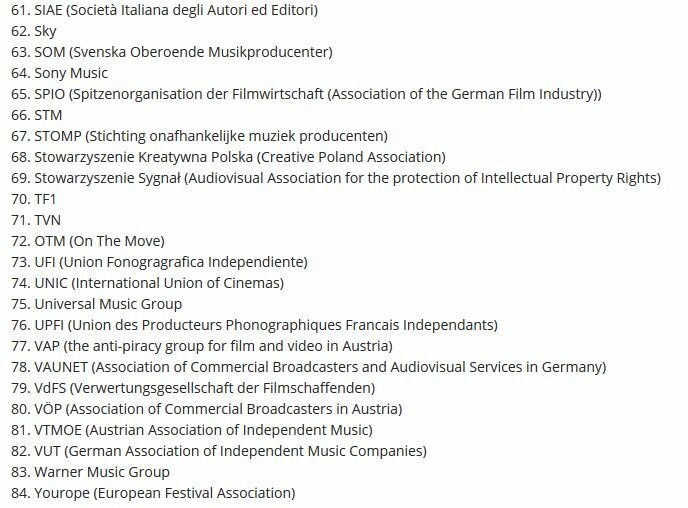 As an example, I'd be very unhappy if (say) Italy's very restrictive "freedom of panorama" rules were standardised across Europe and there were suddenly many more restrictions on what I could publish photos of. As an example, I'd be very unhappy if (say) Italy's very restrictive "freedom of panorama" rules were standardised across Europe and there were suddenly many more restrictions on what I could publish photos of. My guess would be that the restriction would only apply to pictures of certain things in certain jurisdictions. So a picture of a building in Italy would be covered by copyright, but the copyright for that building would still apply in other countries, while a picture of a French building (for non-commercial purposes) wouldn't be an issue outside of France. Meanwhile pictures of buildings only are fine for all purposes if the building was Danish. At least, that would be the most understandable, where the enforcement of a copyright would be EU-wide, but laws would still depend on what the picture is of and where it is from. the US law is implementing a treaty we're a party to though and I guess we agree to enforce it because trade and such (apparently it's called the WIPO and I had definitely heard of it before today ) but the EU isn't doing this as part of the WIPO I think (the docs are here) and seems to be more a Single Market sort of thing. 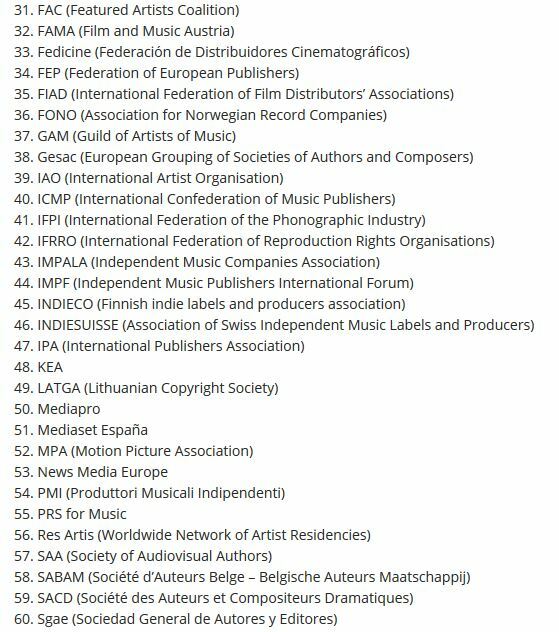 We might agree to this crazy copyright law I guess, but if we don't then the only reason to follow it is to do business with the rest of Europe, which we probably will want to, since they're... like just over there anyway we still need to agree don't we? 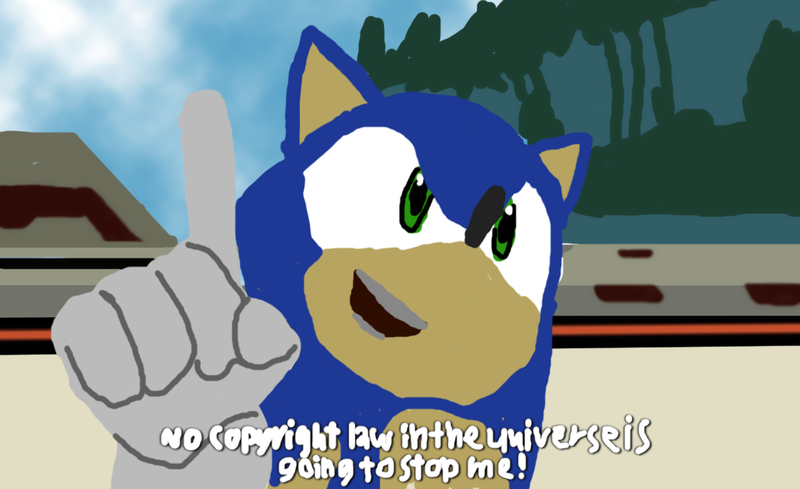 The EU says if we withdraw then all the copyright stuff goes too and so does this random legal thing but maybe if the content is owned by someone in the EU then their law applies. Kinda fortunate that all the ponies are subject to US copyright then, I guess. Anyway obviously most sites cross jurisdictions and will have to obey EU law and state-law, especially if they had a big commercial presence in an EU country concerned just like the have to pay tax and stuff, and maybe they could be blocked if they don't comply etc. BUT a small site about ponies based in the UK post withdrawal, say, would totally be below the radar and could ignore EU IP law happily. The point behind that is that UK intellectual properties have their EU wide protections lost, or wouldn't gain the protections if they're yet to come into force. The other implication here is that in leaving the EU and the Digital Single Market, we technically leave the EU's protected net neutrality (as I said previously, the EU considers net neutrality to be core to Freedom of Movement). The situation isn't final though, and there's committee stages, the European Council and other such processes for this to go through. Not least, this can be vetoed by any of the 28 member states until April next year, at that point that number goes down to 27. I don't think this is the last we've heard of this legislation, and I don't think this is the final decision. Many EU member states are unhappy with this, including Germany, which has been concerned about the possible overreach of this legislation. While there are MEPs and indeed EU governments which might be in favour of this legislation, not all of them are. The major issue with how this legislation is approached is more down to the fact that it has been increasingly important to respond to the requirement to protect intellectual property. I think there's a lot of stuff being said which brings into question whether or not people are challenging copyright as a thing or not. Hopefully that may at least help with awarenesss of this. I’m gonna have to think on whether I’m gonna take any action because the fears do seem troubling. Cloudane and Recurrent Trotting like this. As to the rest of it: Seems they have clarified a few things, although what qualifies as 'permitted quotations' is anyone's guess. Seems still need to keep an eye on this. Hopefully it won't change anything when it comes to fan works. Note that Discovery, the company that owns the channel that shows MLP:FIM in the US, is there. While I was pleased to see this made it onto the TV news, I'm kind of shocked it didn't get more attention.